Diamond Development International – 2009 Annual Report | Andrew Sutton, R.G.D. This work is some of my favourite to date. The original design for the cover was a little more dynamic but I am still pleased with the straight-edge look and feel we landed on. Producing documents in French and English is always difficult to have both projects completed with the same visual standard but I believe I was very successful. 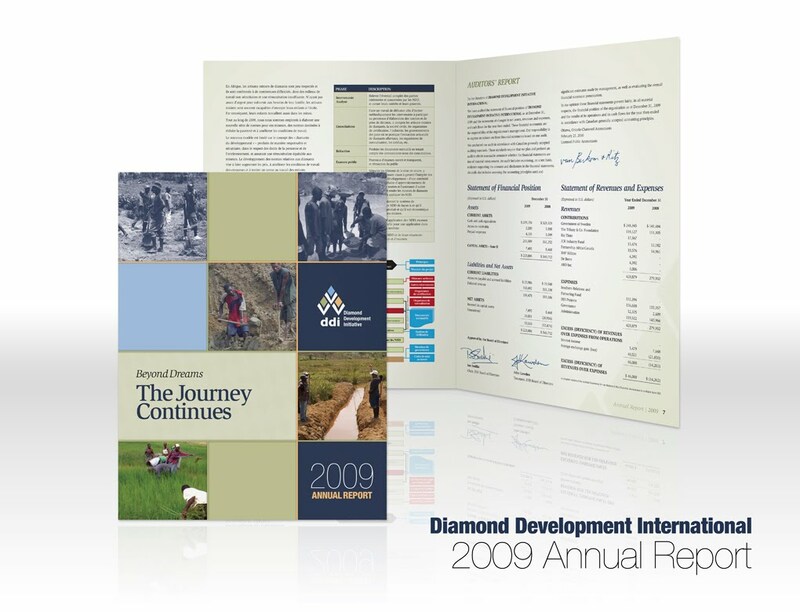 This entry was posted in g33kDESIGN and tagged Annual Report, Book, Diamond Development International, Graphic Design, Layout by Andrew. Bookmark the permalink.